“Blood, Bread, and Roses” reclaims women’s myths and stories, chronicling the ways in which women’s actions and the teaching of myth have interacted over the millenia. Grahn argues that culture has been a weaving between the genders, a sharing of wisdom derived from menstruation. Her rich interpretations of ancient menstrual rites give us a new and hopeful story of culture’s beginnings based on the integration of body, mind, and spirit found in women’s traditions. 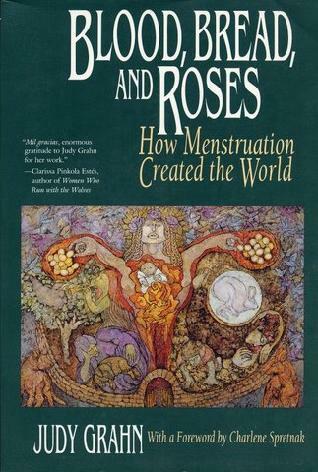 “Blood, Bread, and Roses” offers all of us a way back to understanding the true meaning of women’s menstraul power.